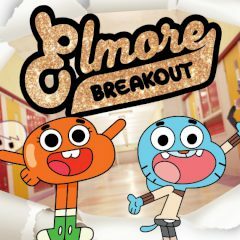 Are you ready to help Gumball to escape Elmore? Build the bridge of the right length to pass over gaps! This Gumball adventure is something, you haven't seen yet! Build bridges on your way to pass over the obstacles and gaps. Each successfully passed gap gives one point. Unlock all characters by scratching and have fun!